Pokevault.com is giving away a set of 7 Pokemon Center Japan Halloween Pikachu plush toys and mascot plush keychains. 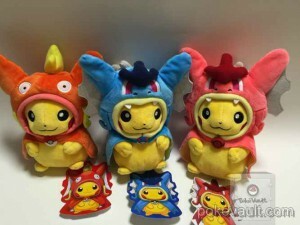 One lucky winner will receive ALL 7 plushies. The contest starts September 30, 2015 and ends on October 7, 2015 (Japan time). Its 100% free to enter and there is no purchase necessary. The winner will be chosen by random drawing and announced on October 7, 2015. By entering you receive one chance in the random drawing. BUT WAIT!!!! Refer a friend to the contest and you get 5 extra chances to win. So tell everyone that you know, post it on Pokemon websites, blogs, info sites, facebook, twitter, etc. The more people that you tell about the contest, the better your chances are of winning. 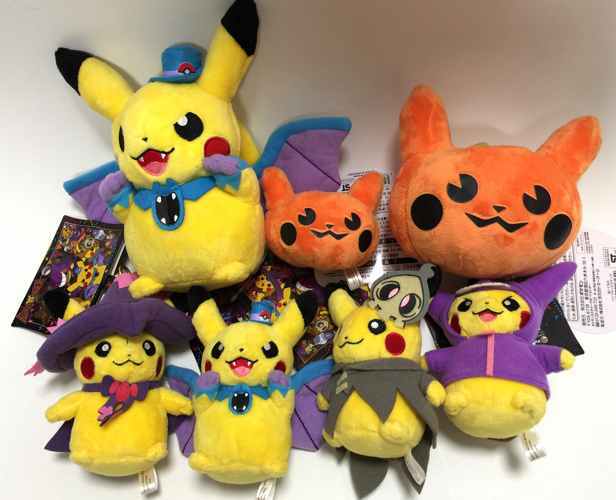 The set of 7 Pokemon Center Japan Halloween Pikachu plush toys and mascot plush keychains will be sent to the lucky winner. Shipping will be paid by Pokevault.com, so you do not need to pay anything if you win. Dont miss out!!! Contest ends soon. Pokevault.com is giving away a set of 3 Pokemon Center Hiroshima Grand Opening plush toys. One lucky winner will receive ALL 3: Karpchu, Pikados & Shiny Pikados. The contest starts August 9, 2015 and ends on August 17, 2015 (Japan time). Its 100% free to enter and there is no purchase necessary. The winner will be chosen by random drawing and announced on August 17, 2015. By entering you receive one chance in the random drawing. BUT WAIT!!!! Refer a friend to the contest and you get 5 extra chances to win. 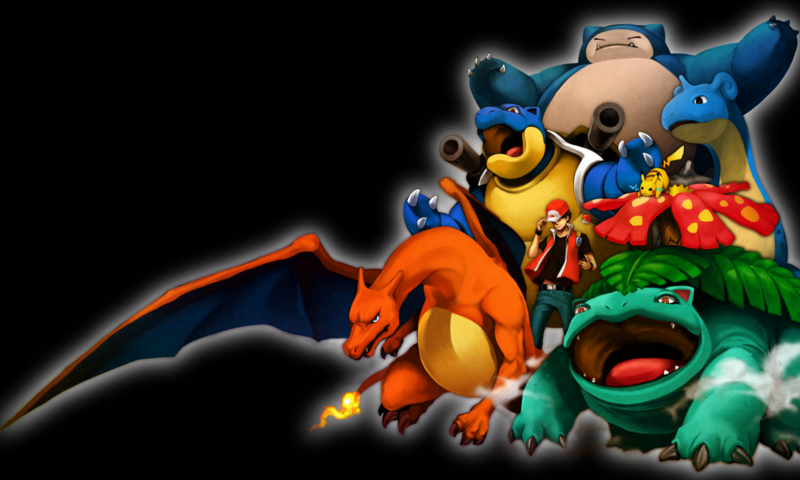 So tell everyone that you know, post it on Pokemon websites, blogs, info sites, facebook, twitter, etc. The more people that you tell about the contest, the better your chances are of winning. The set of 3 Hiroshima Grand Opening Plushies will be sent to the lucky winner. Shipping will be paid by Pokevault.com, so you do not need to pay anything if you win. Dont miss out!!! Contest ends soon. Pokevault.com is giving away a Giant Size Pikachu Pikazard plush toy. The contest starts June 2, 2015 and ends on June 14, 2015. Its 100% free to enter and there is no purchase necessary. The winner will be chosen by random drawing and announced on June 15, 2015. By entering you receive one chance in the random drawing. BUT WAIT!!!! Refer a friend to the contest and you get 5 extra chances to win. So the more you tell everyone about the contest, the more your chances of winning increase. 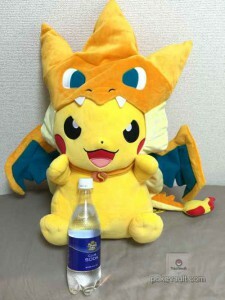 The Giant Size Pikachu Pikazard will be sent to the lucky winner. Shipping will be paid by Pokevault.com, so you do not need to pay anything if you win.